Being charged with or convicted of a felony can change your life overnight. Felonies are considered the most serious types of crimes. A standard definition of a felony is any crime punishable by more than one year in prison, or by death for a capital offense such as first-degree murder. Unlike misdemeanors, defendants convicted of felonies serve their sentences in a state or federal prison rather than a city or county jail. The choice of a felony defense attorney is an important one given the punitive consequences of a felony conviction. Not only should your criminal defense lawyer be experienced in felony matters, but also knowledgeable of both state and federal laws and procedures. What Happens if You’re Convicted of A Felony? California’s “Three Strikes Law” mandates a sentence of 25 years-to-life for a third felony conviction. A second felony conviction alone can result in a significant increase to a prison sentence. Even nonviolent felonies such as theft may count as a “strike” offense. While judges have discretion when considering prior convictions for three strikes sentencing, almost 25 percent of inmates in California are currently facing a minimum of 25 years in prison. Prosecutors also have discretion in counting certain crimes as “strikes” when they file a criminal complaint. Having a skilled, experienced felony criminal defense attorney can make a difference in how both a judge and a prosecutor exercise their discretion in terms of California’s Three Strikes Law. You need an attorney who can present your case in the best possible light in front of those who hold your fate in their hands. 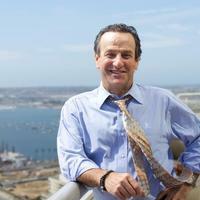 Michael Berg is a San Diego Criminal Defense Attorney with 30 years of experience with felony cases, sound judgment, and the ability to mount an effective felony crimes defense for his clients. Should you find yourself or someone you know in need of a tough felony defense attorney, call the Law Offices of Michael Berg at (619) 239-2186 for a free consultation.